The new Superman event ‘Truth’ is one of the big ways that DC is coming out of the dismal Convergence event stronger than it was previously. Beyond dealing with the seemingly dead Bruce Wayne in Batman, the new storyline focuses on Lois Lane’s public reveal that Clark Kent is Superman. This event is crossing over almost all Super-titles, and even includes a couple of issues before the Convergence two-month event. 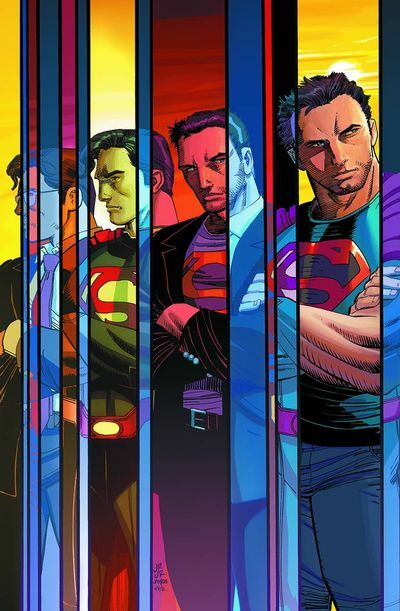 Now there are still a number of main Truth issues to come over the next couple months, but right now we have put together a complete Superman Truth reading order as best as we can so people can get started. Written by Greg Pak. Art by Aaron Kuder. Written by Greg Pak. Art by Adrian Syaf. Written Peter Tomasi. Art by Doug Mahnke. Written by Gene Luen Yang. Art by John Romita Jr.